The research community in Greater London ranges from internationally renowned institutions such as UCL’s Institute of Archaeology and Institute for Historical Research to the Museum of London and local societies such as the Enfield Archaeological Society (http://www.enfarchsoc.org/) and the Camden History Society with its outstanding record of local history publications (http://www.camdenhistorysociety.org/). Organisations providing support to researchers include national bodies such as Historic England and their Greater London Archaeological Advisory Service (GLAAS) and Greater London Historic Environment Record, as well as museums, universities, archaeological contractors, the Museum of London Archaeological Archive, the Institute of Historical Research (IHR), local archaeological and history societies, archives and local studies libraries, and various community groups. Milestones in archaeological research have included the Royal Commission on Historical Monuments (RCHM) in the 1920s, REM Wheeler’s Museum of London catalogues in the 1920s and 1930s, Merrifield’s The Roman city of London (1965), Grimes’ The excavation of Roman and medieval London (1968) and Biddle and Hudson’s The future of London’s past (1973). With the establishment of professional contracting organisations from the 1980s and ‘90s, publications by the likes of MOLA and PCA began to become major sources of research publications– whether related to a particular site or specialist field, or a synthesis of a variety of sources. In addition, however, the periodicals relating to London – London Archaeologist, and the publications of LAMAS and other county and local societies – continue to contribute significantly. In 2015, a new research strategy – A strategy for researching the historic environment of Greater London –was issued, the third and final instalment of the three-part research framework for London. The new Strategy, available here, is an on-line pdf, with a webpage, social media and links to other groups, placing the emphasis on participation, interaction and discussion to take research in new and exciting directions. An advisory board has been set up to facilitate this aim. 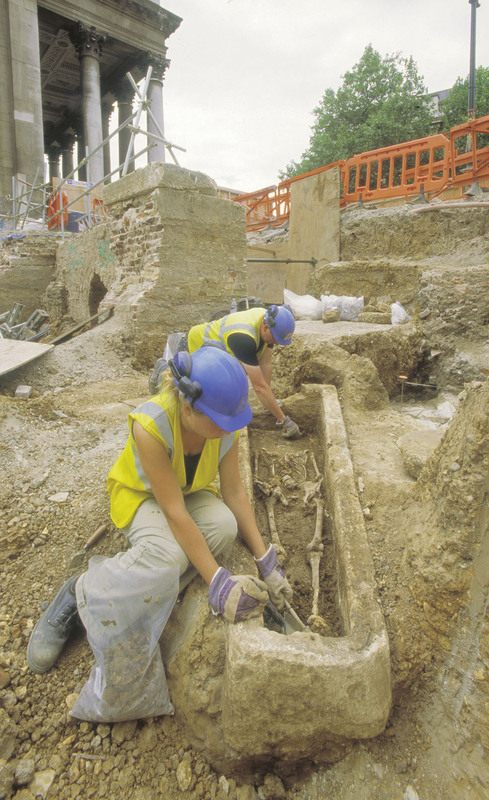 For a longer overview of the key types of research related to London’s archaeology, see the article prepared by Peter Rowsome, LA’s managing editor, [and Dominic Perring] here.